Zweischneid | Ich spiele Warhammer 40K im Schwarzwald! Zweischneid – Ich spiele Warhammer 40K im Schwarzwald! Spiel 2: Eldar vs. Space Wolves. Spiel 1: Eldar vs. Eldar. Meine Allianz aus Prophets of Flesh und Ulthwé gegen eine super bemalte Alaitoc Eldar-Armee von Mr. Whoody67 aus Straßbourg. Warhammer 40K: Should Command Points be Faction-Specific? Castellan Knights and Smash-Captains Everywhere! Summer is ending and for Warhammer 40K, the next big FAQ is approaching, most likely in September after the NOVA Open tournament in Washington DC. The NOVA Open will probably also shine a light on an issue that hopefully will get addressed in the upcoming FAQ for Warhammer 40K. Or, perhaps in the 2018 Chapter Approved later this year, though the FAQ in April demonstrated Games Workshop’s willingness to tackle issues in 40K with these updates. The issue I am talking about is the abundance of lists built on a) a Knight Castellan (typically House Raven), b) Blood Angels (typically Jump Pack Captains with SS/TH) and c) an Imperial Guard Brigade or Battalion for command points (or CP). For the NOVA invitational, lists similar to this allegedly make up 50%+ of the field, and probably more if we’d simplify this list to a concept of „very good, CP-hungry units/detachments + Imperial Guard CP farm“. To me, this appears to be the kind of issue Games Workshop’s rules team might want to tackle this fall, just as they did with Smite, the „rule-of-three“ or 1st-turn deepstriking in the past (though, clearly, I could be completely wrong here). Is the solution a points increase to the Knight Castellan and/or the Blood Angels Thunderhammer-Captain? Maybe, though I think the units as such are fine. The biggest problem is the ability of these lists to (re-)generate near unlimited CPs for very good stratagems, allowing them to use expensive, „game-changing“ stratagems every turn. A Blood Angels Captain using Wings of Fire, Descent of Angels, Red Rampage and Honour the Chapter all in one go (7 CP) would leave most „normal“ armies near-out of CPs, having spent all on a single action of one character. No „normal“ Knight army could possibly afford to use Rotate Ion Shields, Order of Companions and Machine Spirit Resurgent on a Dominus-Class Knight turn after turn after turn. With the Imperial Guard, providing an additional supply of CPs and, more importantly, „farming“ (e.g. regenerating) CPs from the Warlord Trait Grand Strategist and the Relic Kurov’s Aquila (plus the Blood Angels‘ Veritas Vitae), this kind of army can do all of that, simultaneously, effortlessly, through all game turns. 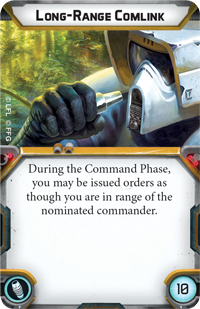 Should Command Points be Faction-Specific? Here’s my idea on how Games Workshop should tackle this. But a few caveats first. This should probably be an event/tournament-only recommendation, similar to the „rule of three“. The extra bookkeeping is probably unnecessary outside competitive events. This should clearly be a „beta-rule“ giving people the opportunity to test things (and TOs the option to ignore it). This is just my opinion on this. YMMD. Make Command Points and, perhaps even more importantly, Command Point regeneration faction-specific. CPs should be tied to the faction that brings these CPs into the army, allowing these points to be spend only on Stratagems from and for this faction. CP farming should only work on CPs/Stratagems from the faction that brings the CP regenerating rule to the army, or, if it is gaining CPs from Stratagems spend by your opponent, convert them into CPs for that particular faction in your army. The three „free“ CPs for bringing a battleforged army are assigned the faction of the army’s (true) Warlord. In other words, an army from three different factions (say, Catachans, Blood Angels and House Raven) would work with three separate command point pools for each of their detachments. This army would bring 12 „Catachan CP“ (useable on generic Astra Militarum Stratagems and the Catachan-specific one), 5 „Blood Angel CP“ and 0 „House Raven CP“, +3 CPs to the faction of this army’s warlord. Moreover, if this army featured a Grand Strategist Warlord, Kurov’s Aquila and Veritas Vitae, the Grand Strategist would only roll for „Catachan CP“ spend on Astra Militarum Stratagems, the Veritas Vitae would only roll on „Blood Angels CP“ spend on Blood Angels Stratagems and Kurov’s Aquila would turn all CPs gained as a result of the opponent playing stratagems into „Catachan CP“. A Black Heart Drukhari Spearhead Detachment with an Archon as Warlord with Labyrinthine Cunning (1 + 3 = a total of 4 „Black Heart CPs“, since it includes the Warlord. Labyrinthine Cunning would regenerate only opponents‘ and „Black Heart CPs“ into new „Black Heart CPs“). A Prophets of Flesh Battalion Detachment (5 „Prophets of Flesh CP“). An Craftworlds Alaitoc Air Wing Detachment (1 „Alaitoc CP“). Send in the Next Wave! – Reinforcement Points? Games Workshop published another preview for the upcoming Astra Militarum Codex. The strategem „Send in the Next Wave“ caught my attention. Question: Would you have to pay for this new unit with Reinforcement Points? The second half of the sentence clearly describes the effect of this strategem. 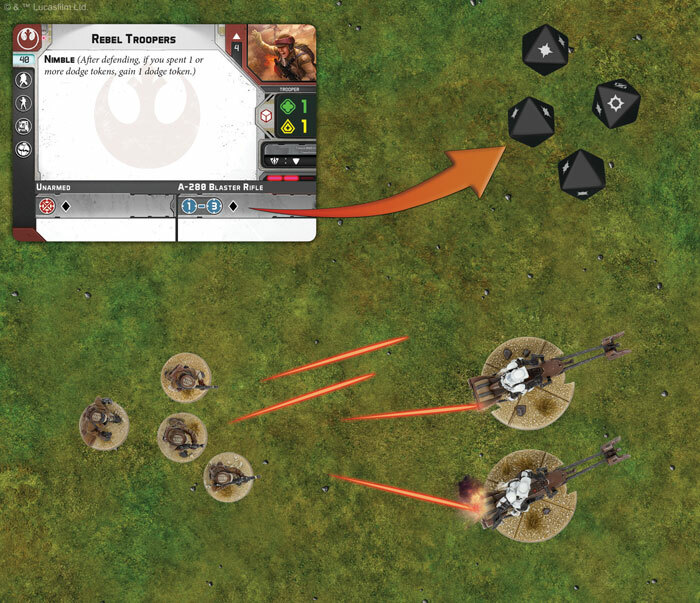 Thus it would seem that the Reinforcement Points rule applies and you would have to pay for this replacement of a previously lost unit through the use of a strategem. And there are even some FAQs that go with it! 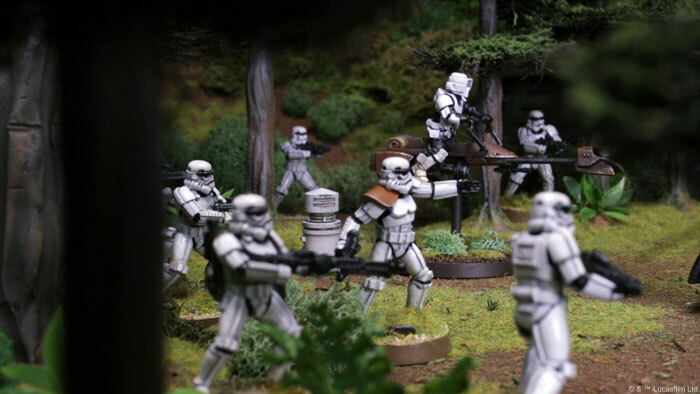 Fantasy Flight Games is proud to announce Star Wars™: Legion, a new miniatures game of infantry battles that invites you to join iconic heroes and villains, lead your troopers into battle, and battle for the fate of the Star Warsgalaxy. 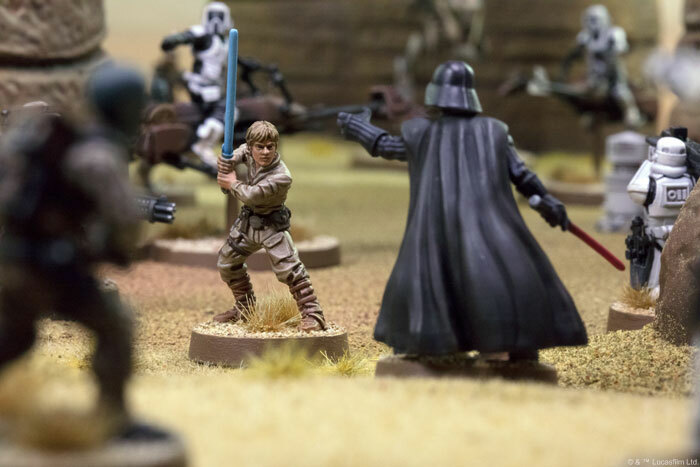 With Star Wars: Legion, you can build and paint a unique army of miniatures. You can command your troops in battle and devise masterful tactics. 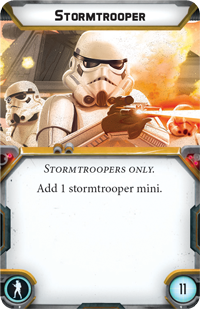 And you can conquer your opponent’s army to bring victory to the light side or the dark side! Take command of your forces and give the order to charge—the Star Wars: Legion Core Set (SWL01) is scheduled to be released in early 2018. Source of this rumour apparently is an email from Alliance, the Asmodee/FFG distributor in the US. 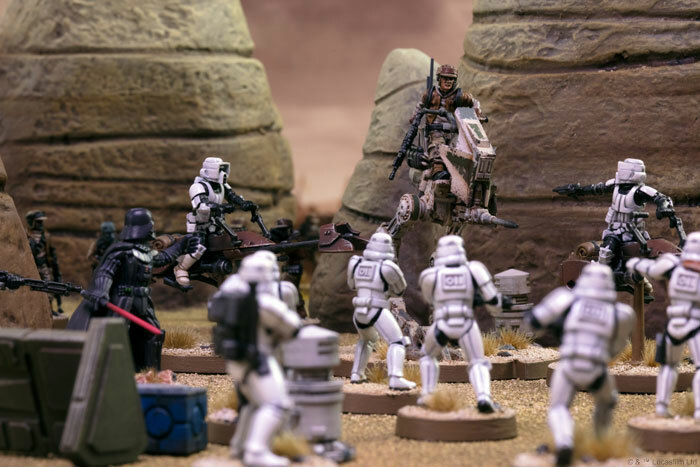 Epic warfare is an inescapable part of the Star Wars™ universe, and you can lead your troops to victory with Star Wars: Legion™, a two-player miniatures game of thrilling infantry battles in the Star Wars universe! 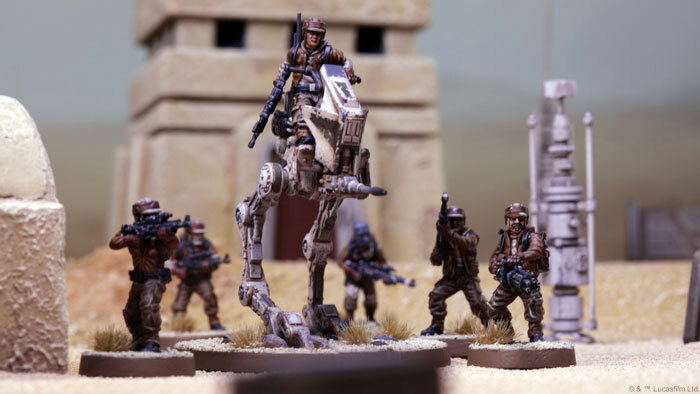 As a miniatures game, Star Wars: Legion invites you to enter the ground battles of the Galactic Civil War as the commander of a unique army filled with troopers, powerful vehicles, and iconic characters. 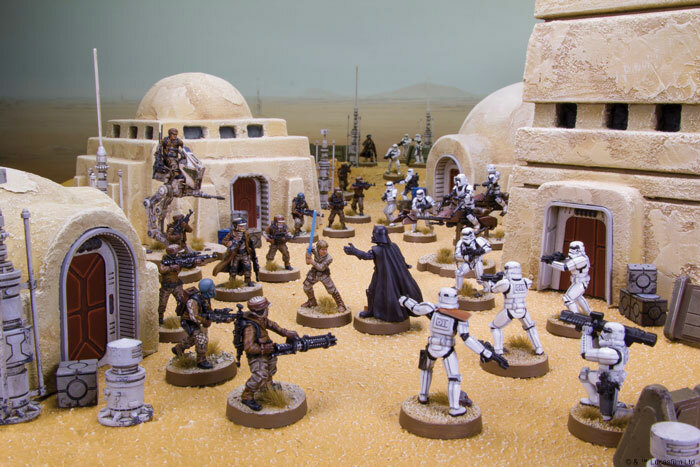 While innovative mechanics for command and control simulate the fog of war and the chaos of battle, the game’s unpainted, easily assembled figures give you a canvas to create any Star Wars army you can imagine. 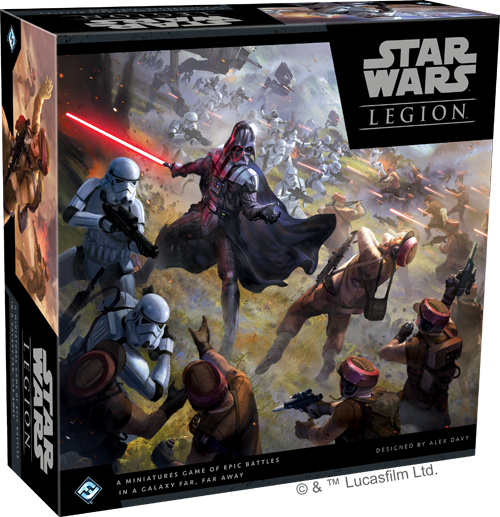 FFG SWL01 Star Wars: Legion – Core Set $89.95 is the only new info. The quote is the full description. Would be interesting to see what comes of this. I do enjoy the odd game of Imperial Assault (meaning I have miniatures), and Star Wars is .. well .. Star Wars. 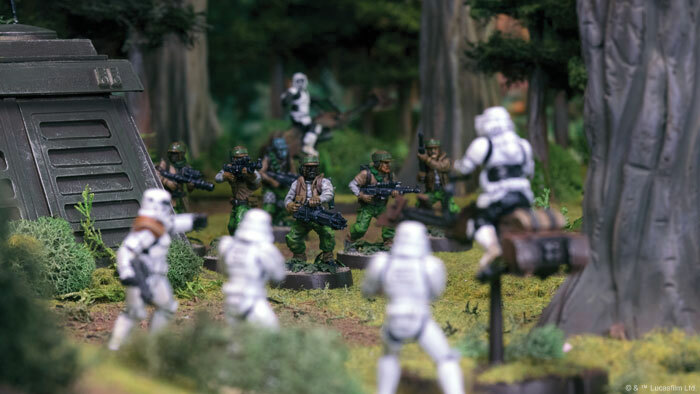 On the other hand, FFG’s recent shot at Wargames – the Runewars Miniatures Game – seemed stillborn to me, both due to overtly fiddly rules and by their decision to not bring people’s existing collection of Descent Miniatures into the game. There may be an announcement following „the leak“ (which looks reasonably authentic, though it could, of course, still be a prank).